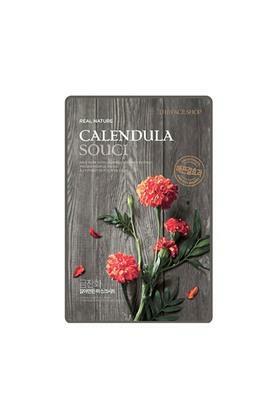 This Real Nature Calendula face mask is drenched in serum from the house of The Face Shop. This face mask containing calendula flower extract that helps smooth dry, rough and dead skin cells, refreshes and revitalizes your complexion. This Real Nature Calendula face mask we absolutely swear by.